Bob McGilvray was until just recently a lecturer in Fine Art at Duncan of Jordanstone College of Art, University of Dundee (retiring after 40 years in 2014) and has exhibited throughout Great Britain and in Ireland and Europe. He is a regular exhibitor in national group exhibitions, RSA, RGI (awarded the Gary Gilday prize for abstract work 2013) and SSA. He is also a consultant and author on Public Art and Design and has lectured at conference throughout Britain and in Northern Ireland, Scandinavia and the USA. 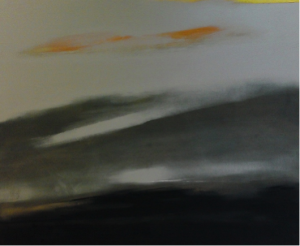 Bob McGilvray’s painting practice is concerned with memory and response with particular reference to the differing light, colour, climate and atmosphere of both the East and West coasts of Scotland.